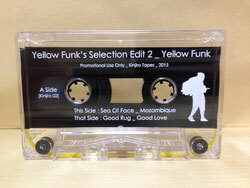 Yellow Funk's 2nd re-edits from Kinjiro TAPES. It also includes new 4 re-edited tracks by Yellow Funk in Tokyo. Copyright © 2012-2018 Kin-Ben LABEL All Rights Reserved.